Today I have a special treat, an interview with Johan Nagel, founder of Every Single Soldier, a studio which has brought us several high quality games in the last few years. Vietnam '65, Afghanistan '11, and Carrier Deck. He discussed with me the past, present, and future of his company. Enjoy! AWNT: Tell us a bit about yourself, what was the path that led you into playing wargames and eventually into producing your own games? I come from a military family, my father was a submariner, my brother an officer in the Army Special Forces and I was a Lieutenant in the South African Marines. I have been playing wargames and generally all sorts of board games since my early teens. I started with Squad Leader and progressed from there. I decided to leave the military as we were always going to win the battle war but lose the political war. I am a lawyer by degree and went into banking, all the while keeping my interest in military history and especially strategy. Vietnam '65 was actually designed and played on a Commodore 64 (GWBasic) and then later on PC (using the Operation Flashpoint editor) as finding an opponent was always a challenge, especially with such a small community in South Africa. A few years ago I decided to actually publish V65 and thoroughly enjoyed the whole process from design to actual development and decided to make banking part time and making military games full time. AWNT: Could you tell us about the founding of Every Single Soldier? Did you and your team have a clear vision of what kind of games you wanted to make from Day 1? ESS is actually just myself, I design, finance and produce the titles, all outsourced to studios both locally and internationally. ESS was actually created in the early 90's and was another military hobby of mine, casting and painting military chess sets and Anglo-Boer war artillery sets. Literally, every single soldier was handcrafted and painted by me, hence Every Single Soldier. I just kept the brand. 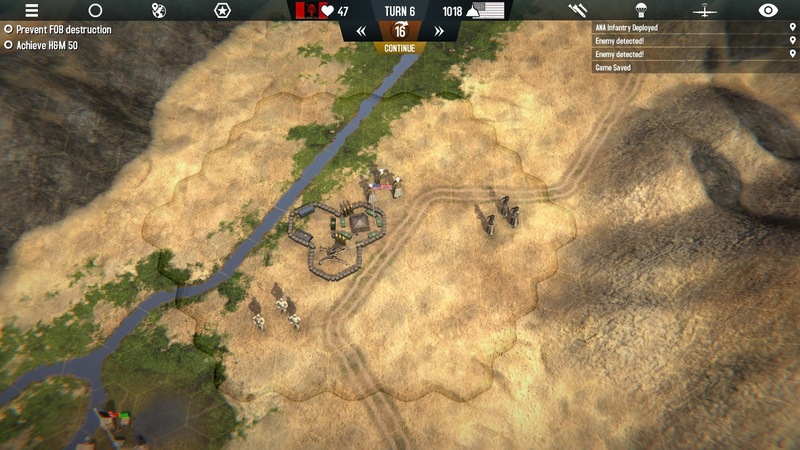 I always wanted to make games post WW2, I have played every battle in WW2 so many times I gravitated to modern conflicts , especially counter insurgency wars, having served in the SADF in the Angola border wars in the mid 80's. I was always very interested in the Vietnam war, partly because of the counter insurgency nature and the fascination with the development of airmobile warfare. AWNT: Is there a dream game you would like to make one day, that you simply don’t have the resources for right now? Fortunately after a successful 20 year career in banking, I have the resources to make the games I really want to without the fear of not being able to pay the bills :) I have so many games I would like to make, it's a matter of priority and finding the resources to make them that's the challenge. Making games about the South African conflicts both in the 19th and 20th century doesn't make immediate economic sense but are what I really want to create, but [I] will save them for later, leaving the best for last, as I learn the trade of making and publishing games. 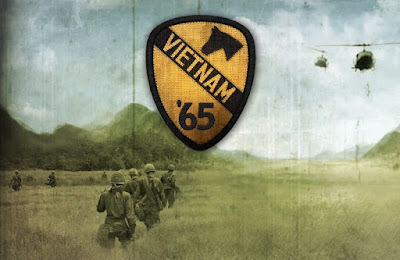 AWNT: What was the inspiration for Vietnam ‘65, specifically in terms of making a game that wasn’t just about combat, but required the player to focus on the Hearts and Minds aspect of the conflict? The traditional, conventional wargame methodology of building up your army, crossing a border and then destroying your opponent was becoming a bit stale for me as well as being a model that could never realistically model modern conflicts. Not only did I experience counter insurgency war first hand, but have studied it, and the hearts and minds of the local population had to be a factor in the new model. Also a war without borders, Intel taking center stage and political objectives needed a new model. V65 was really a baby step in this direction, A11 expanded on it adding many new levels of complexity, it [is] still a part of the journey, there is a lot that can be added to the future. AWNT: After developing Vietnam ‘65, how close was the original design to the final result? Pretty close, but the original V65 (1990) had a lot more elements and was also played on a strategic map but then the player could assume the actual FPS character of any action at any time, thanks to the great Operation Flashpoint Editor, I still view this as the best version of the game :) The hard part was deciding what to leave out and how to keep as much simplicity in the model whilst capturing the essence of the conflict. AWNT: After Vietnam ‘65, what led you to choose Afghanistan as the next conflict to explore with this system? 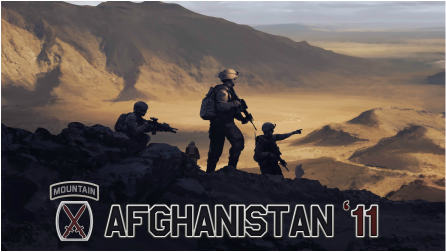 Afghanistan was a natural choice following Vietnam, the parallels are very apparent, albeit the terrain very different. This also gave me the opportunity to include elements left out of V65, for example the whole nation building (Vietnamization policy), political variables (elections and global events) etc. 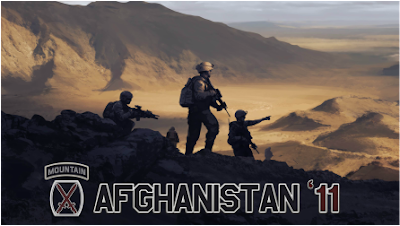 AWNT: Was there any feedback that Afghanistan was too recent of a conflict to turn into a game? Surprisingly no negative feedback on any scale was received, we had no more than a few posts in a few threads , so was very happy about that. I took great care to ensure the credibility and authenticity of the conflict was properly represented, being ex military myself I understand this, and had constant input from a number of serving US Army officers and NCO's throughout the process. The feedback for vets and serving has been overwhelmingly positive and this has really been the most gratifying part of the whole process. AWNT: Afghanistan ‘11 expanded upon most of the mechanics in Vietnam ‘65. Were there any features or mechanics that you wanted to add but didn’t make the cut for whatever reason? So A11 was an opportunity to evolve the model but certain elements were left out, mostly to keep the evolution of the model at a steady pace, as the model has a relatively steep learning curve and we need to keep this in mind when trying to get a larger audience. The civilian population and the subsequent interactions with them needs expanding, Intel needs to become more 'nuanced', unit experience needs to play a larger role. The tactical part of the game, etc. AWNT: Are you familiar with the COIN series of board games from GMT Games? 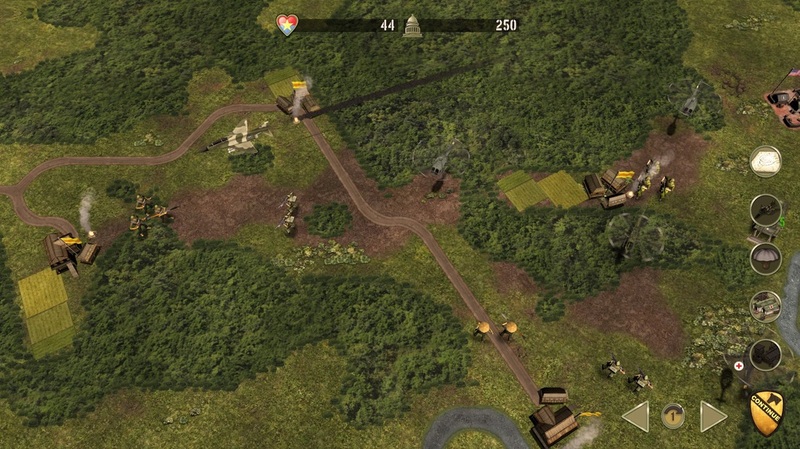 The games Fire in the Lake and A Distant Plain are similar in some respects to Vietnam ‘65 and Afghanistan ‘11, respectively. Very familiar with the series, in fact, I contacted them a while back offering to take the series to the computer realm, time will tell. Enjoy the series as it too is abstracted, just like my games are. AWNT: After visiting Afghanistan and Vietnam, what is the next stop in this series? Right now we are porting A11 to the iPad, then we will be publishing the British Army DLC for A11, new vehicles, campaign, uniform etc. Thereafter we are planning a USMC DLC and finally an ISAF DLC which would include a few vehicles from most of the top contributors to the conflict. AWNT: What was the spark that led to Carrier Deck? While still war-themed, it is a very different sort of game from your other titles. As mentioned earlier, my interest in game development is not linear to counter insurgency wars, I have a number of game designs that have been 'percolating' in my head for many years, I was always interested in the battle of Midway and especially the finding and destroying opposing carriers. This coupled with my preferred style of making abstracted games as opposed to purely historically accurate games and that I prefer developing systems rather that recreating events in my game designs, CD was born. It's perfect for a game, it is process driven, involves awesome tech and is relevant. AWNT: Do you have plans for more light, fast paced games in the vein of Carrier Deck? Indeed I do, currently in development is His Majesty's Ship (HMS), completely different to all my previous games. Being raised as a Navy child, Captaining a ship was always going to be a boyhood dream. 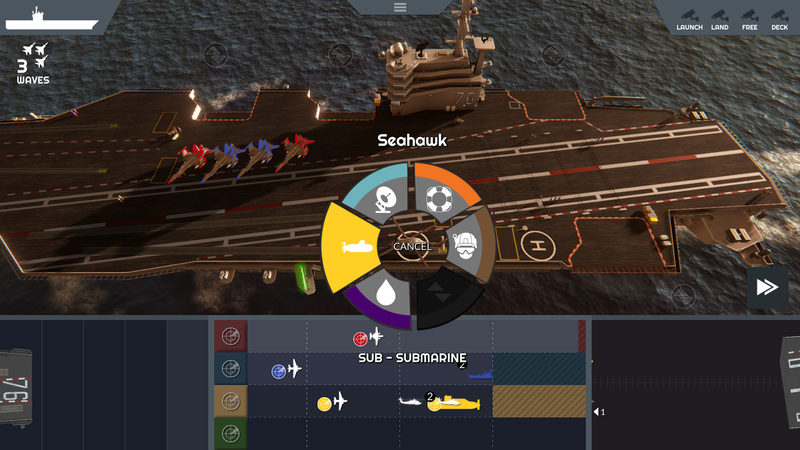 Once again, looking for a game that catch the's essence of commanding a vessel has proved hard to find, most 18th century games currently focus on 'sailing around your opponent trying to discharge cannons', similar to the traditional WW2 games where you stack your infantry ( Stregth 5 ) + armor (strength 8) and attack the enemy infantry (strength 4) apply modifiers etc, this is so not my type of game! I have played them to death and rather prefer to try capture the essence of the theater, including logistics, morale, etc. in an abstracted form. I create systems as opposed to outcomes, and when I get that unintended/unexpected result, I still smile (sometimes not) when I unexpectedly experience a crossover of a few of the systems in A11 and the result is both credible, plausible and entertaining. As development of HMS has already commenced, I am currently working on a new fast paced game abstracting the present/future conflict for the dominance of the Arctic Circle. The game is currently in prototype and coming along nicely. I have not totally forsaken the TBS genre and have completed a design doc on a game that captures the essence (abstracted of course :) of the period of 1860-1900 in South Africa (Anglo-Zulu + Anglo-Boer) and hope to get this into production before the end of this year. I am really enjoying my new 'career' in game development and am aiming to publish around 3 titles a year, after so many long years in Financial Services, I have ton of games stored since my youth and now have the time and resources to actually realize them. AWNT: Well, you sound like a very busy man, so I'll let you go. Thank you for your time! Great interview. Lot of variety and information given a very personal touch. Good stuff.